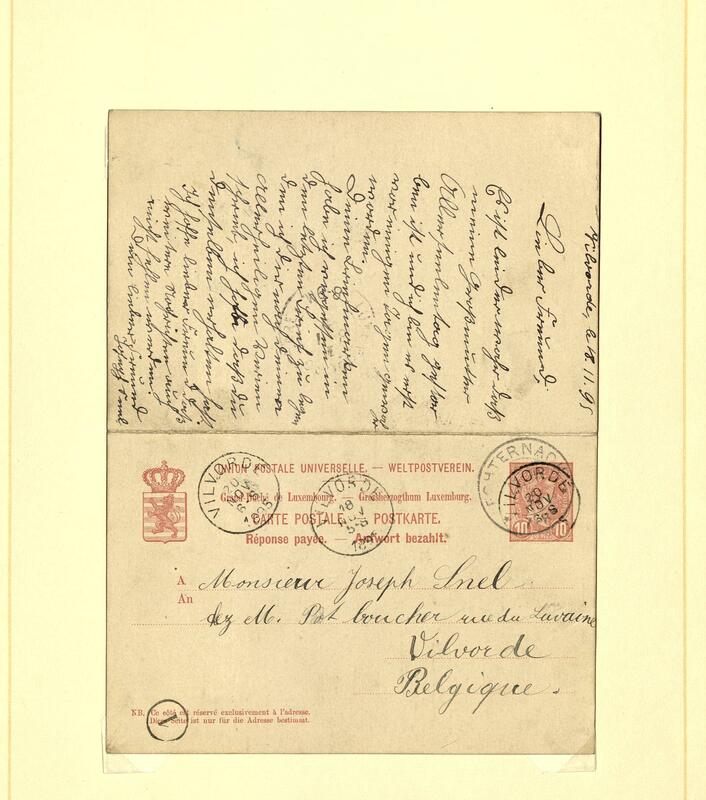 1819 ✉ Lot of letters - enormously inventory of more than 2000 covers, cards and postal stationery, as well much Malaysia, as well also further Asian states, Australia and so on, with also numerous postal stationery from Malaysia. 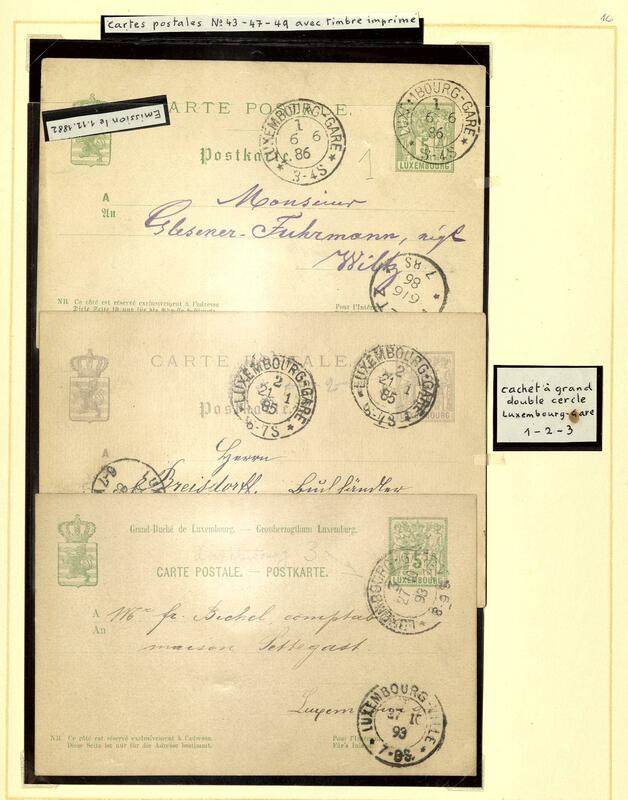 2462 ✉ Lot of letters - nice inventory from covers and cards with numerous attractive documents in the ring binder, as well an interesting part Germany, as well also further areas, perfect for liquidation. The net award amounts exactly 1500,- €. 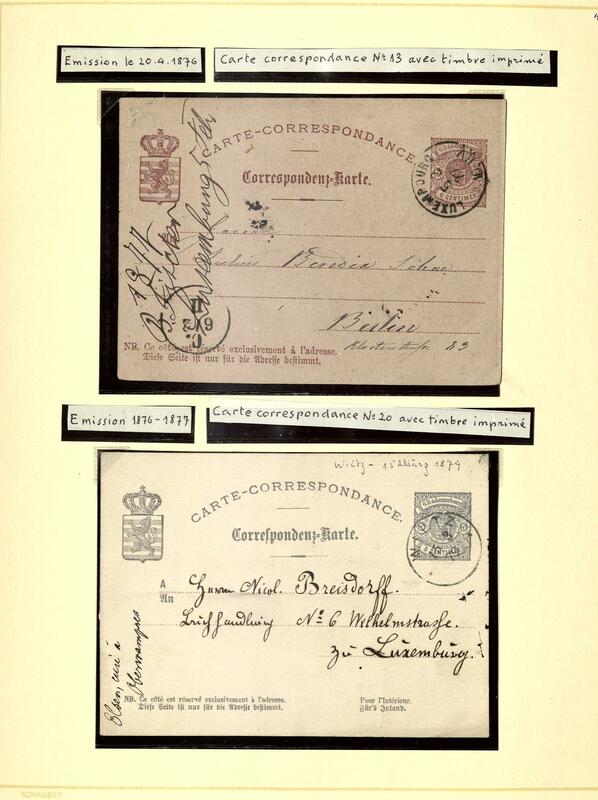 2462A ✉ Lot of letters - interesting lot of covers in the ring binder, many nice documents, interesting part Germany with good frankings beginning years Berlin and so on. 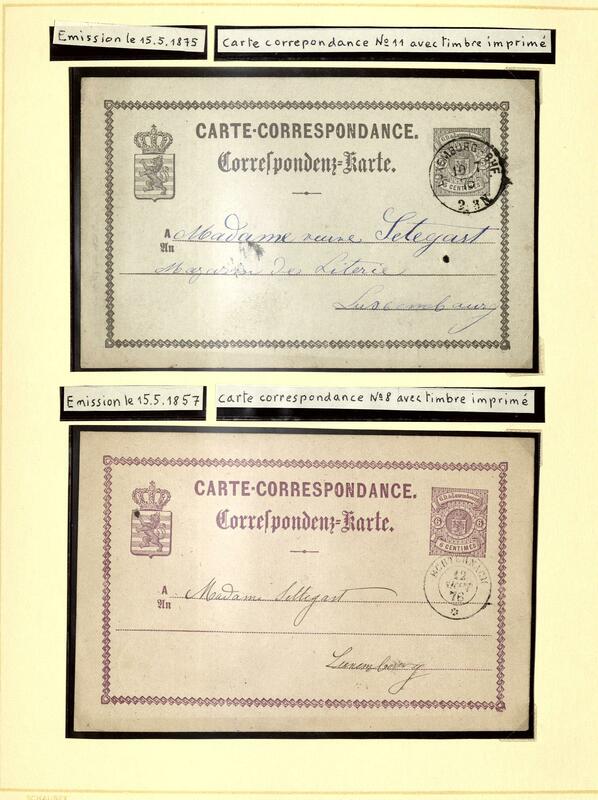 The net award amounts exactly 1516,- €. 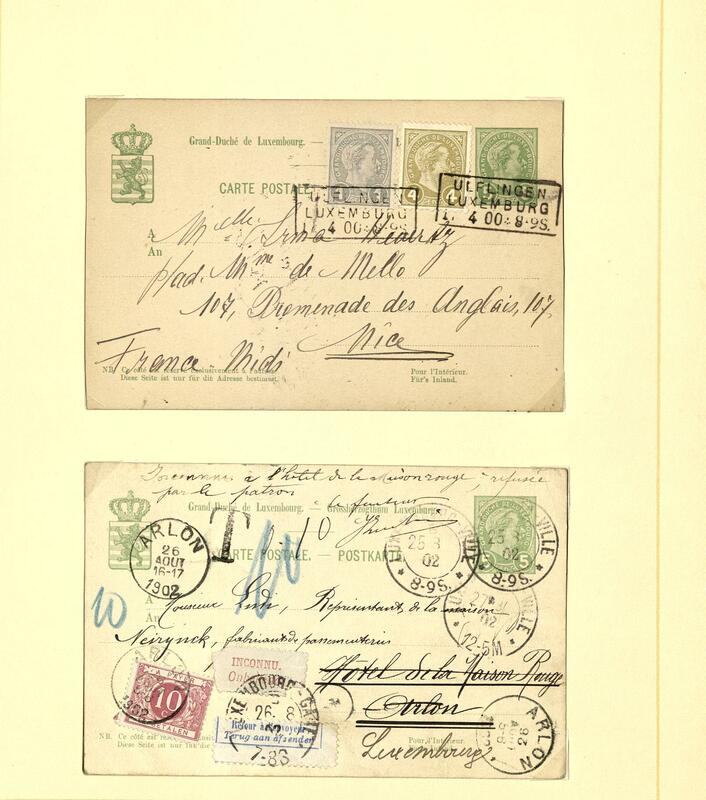 3303 ✉ Lot of letters - interesting lot of covers and cards in the album, main value on the Zeppelin mail with many beautiful documents of the German Reich, different flights, better frankings as for instance South America flight on two beautiful documents, 2 RM. 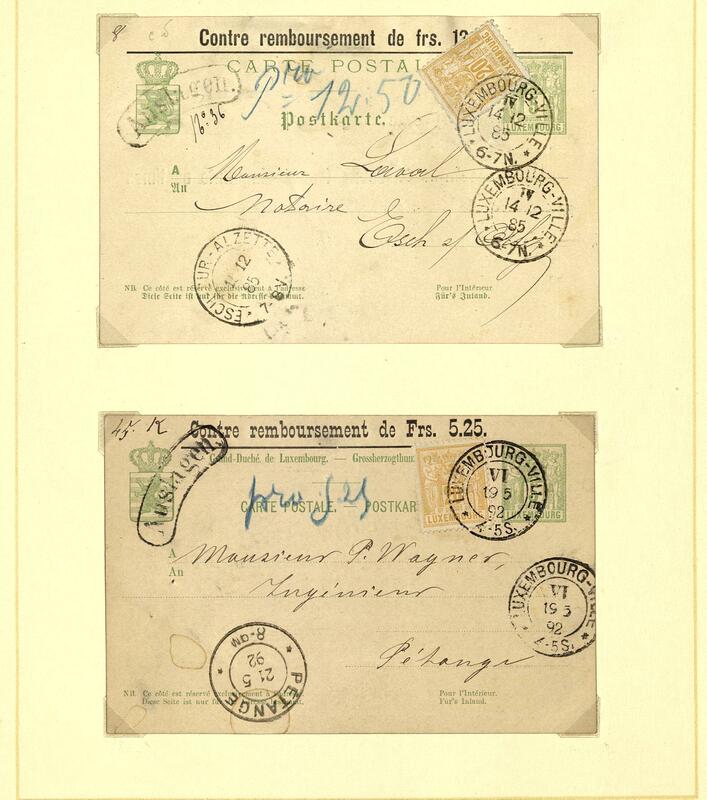 South America flight as multiple franking on DOX card and so on. Please have a look! 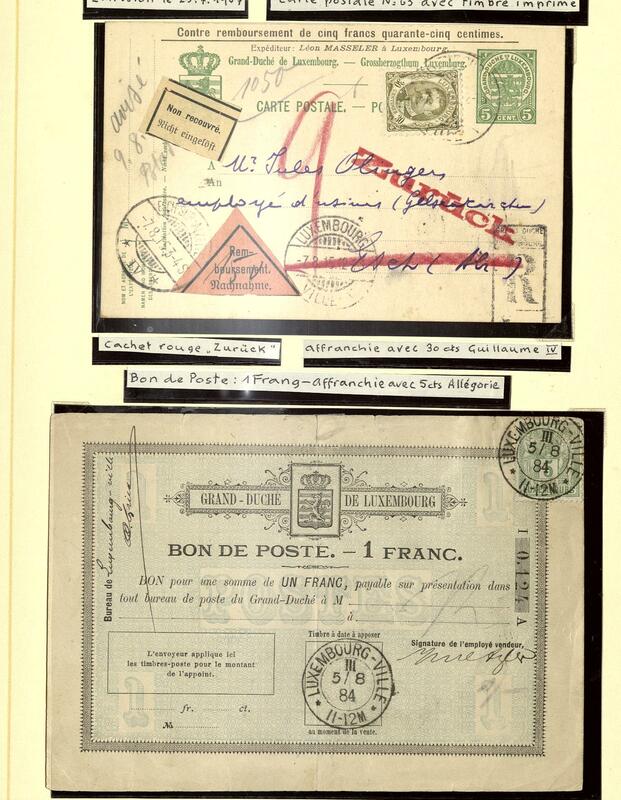 3313 ✉ Lot of letters - extensive lot covers, cards and postal stationery in ten albums accommodated. 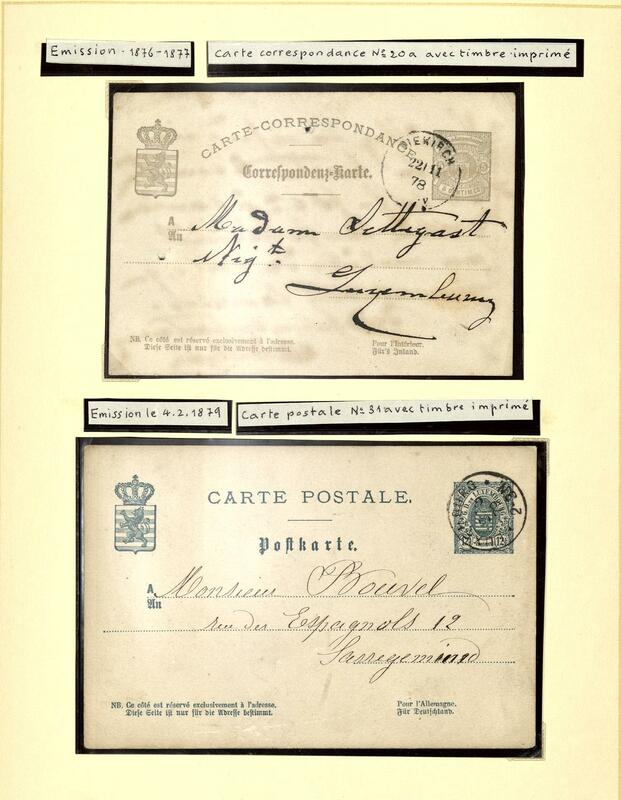 As well interesting material, from Old German States, an extensive part German Reich, as well also Berlin with early frankings and so on. Please have a look! 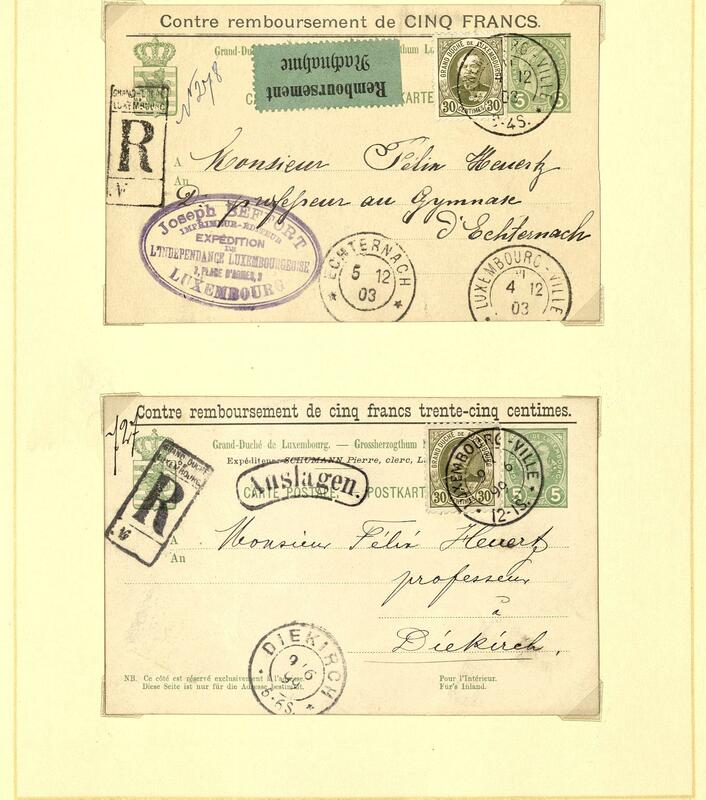 3353 ✉ Lot of letters - interesting and extensive inventory in three moving boxes accommodated, as well much interesting material, attractive frankings with documents of different countries, a very nice part airmail including USA, many nice documents Germany and so on. A treasure trove from estate, perfect for liquidation! 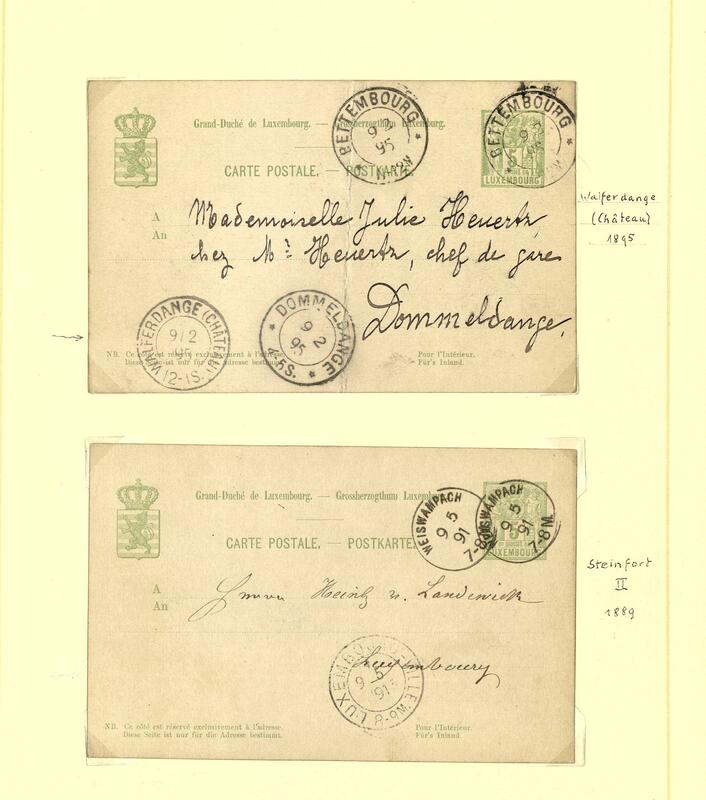 3360 ✉ Lot of letters - interesting and extensive inventory from covers, cards and postal stationery from Germany packed in two moving boxes. 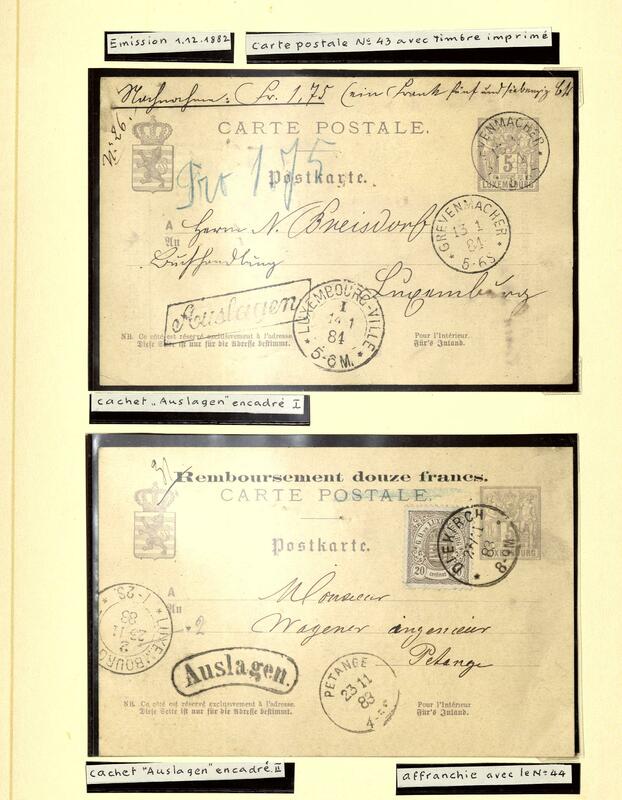 Thereby many interesting documents from the pre-philately onwards, attractive frankings and cancellations and so on. 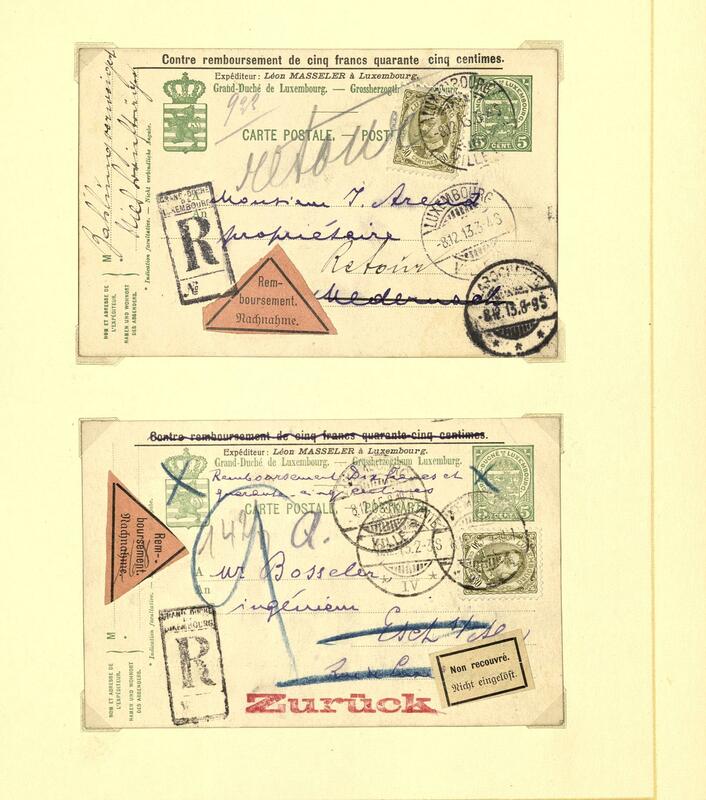 Additional still numerous picture postcards Germany and Europe. Please check carefully! 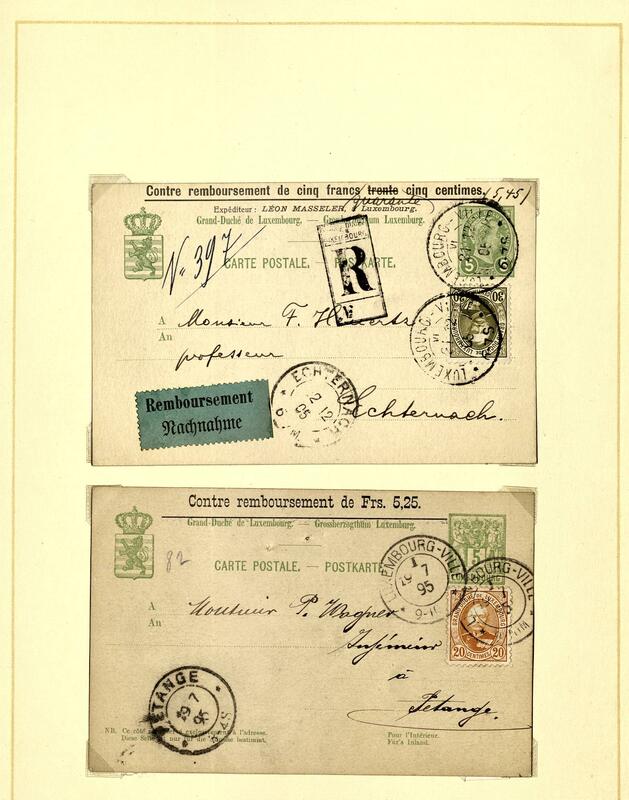 3368 ✉ Lot of letters - interesting lot of covers, cards and First Day Cover, as well good first issues Federal Republic of Germany and Berlin and so on. Please have a look! 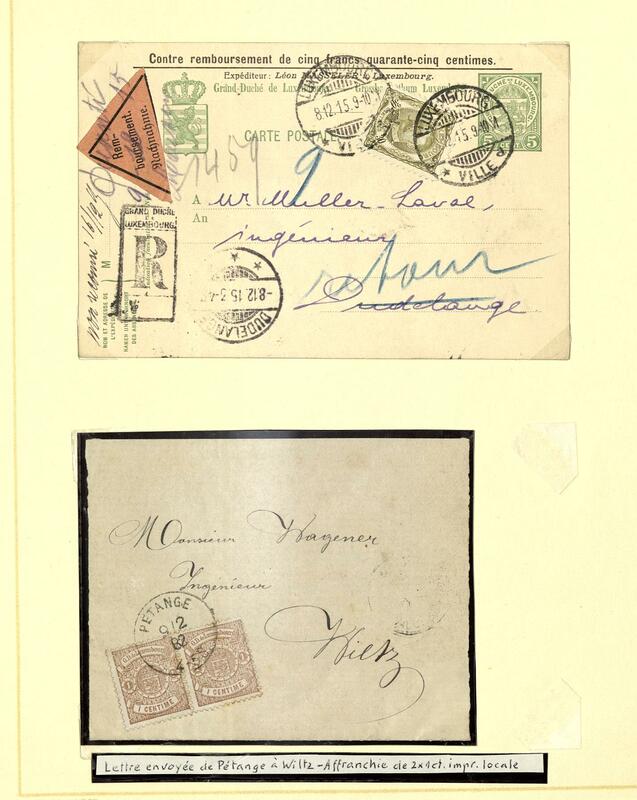 3408 ✉ Lot of letters - interesting and extensive inventory from covers, cards and postal stationery in three moving boxes accommodated, many old documents, interesting frankings, cancellations, much Germany, as well an extensive part German Reich, numerous documents Europe and oversea including many postal stationery Russia from the Tsar era and so on. A great treasure trove with huge number of pieces and very high trade value. Perfect for liquidation! 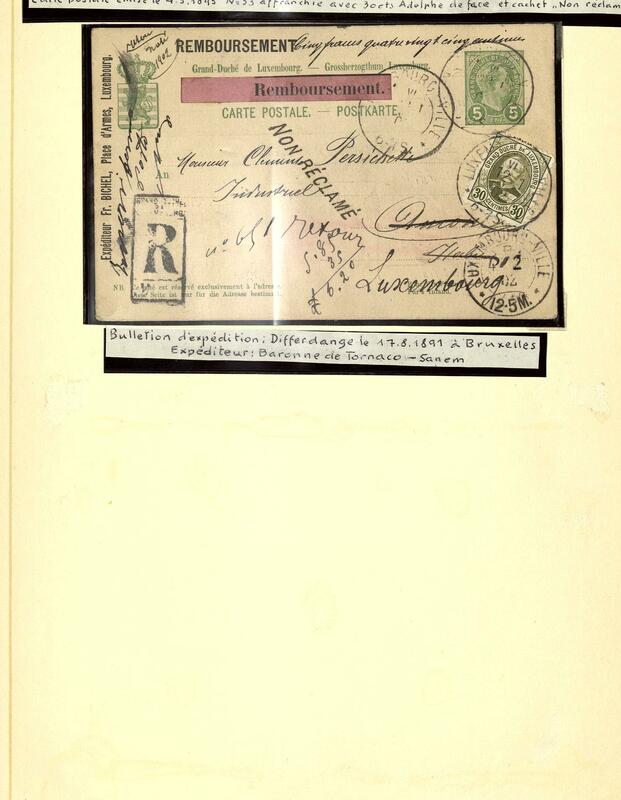 22Q Luxembourg - 1945 / 2005, nice mint never hinged collection, complete with all issued stamps including the good sets and souvenir sheets from the forties and fifties, as well post valid values in 2 KABE hingeless printed form albums. A very nice object! Michel approximate 4500,- €. 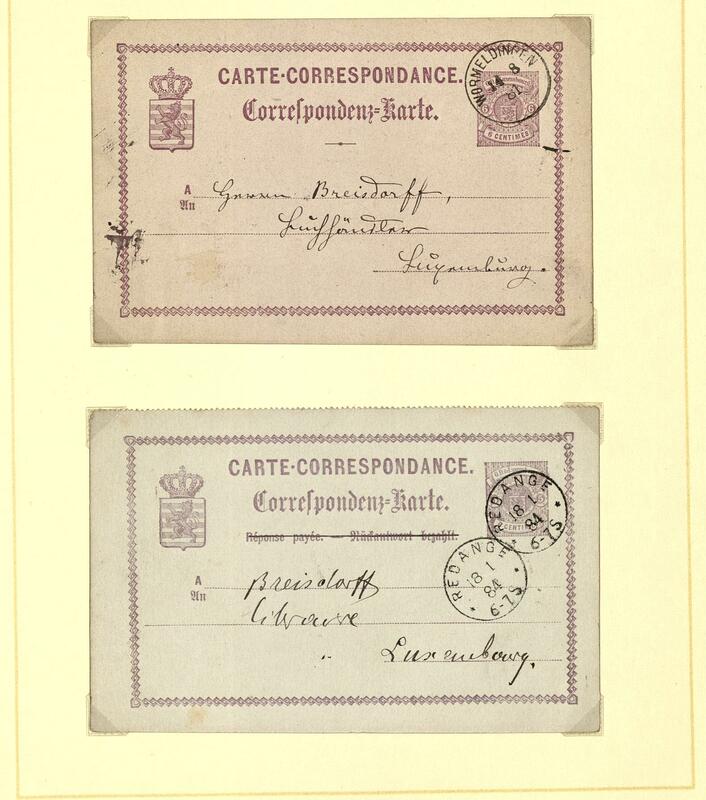 22T ⊙ Luxembourg - 1852 / 1938, used collection in the spring back binder including better issues, charity sets and so on. Michel approximate 1500,- €. 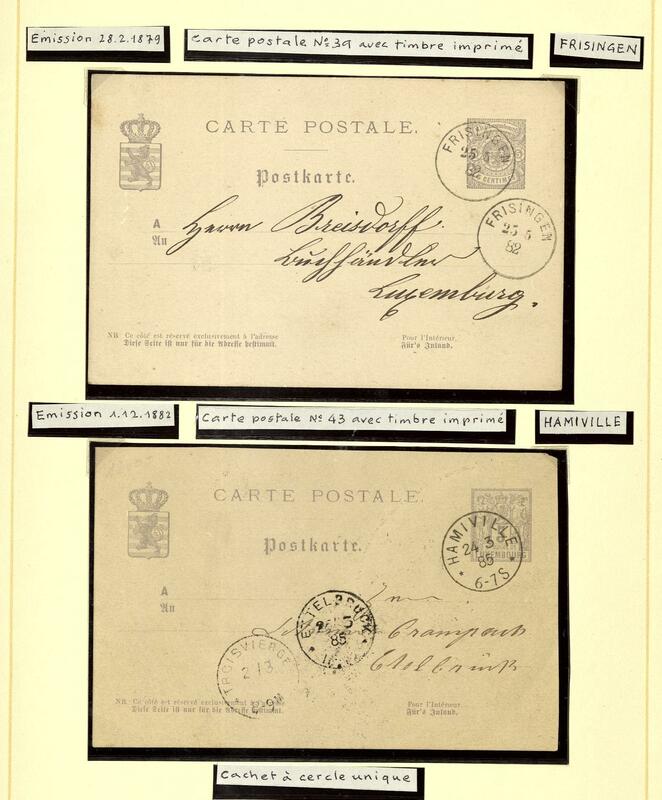 569 ⊙/ / 1 Luxembourg - 1852 / 1991, rich collection in a large stockbook from Michel no. 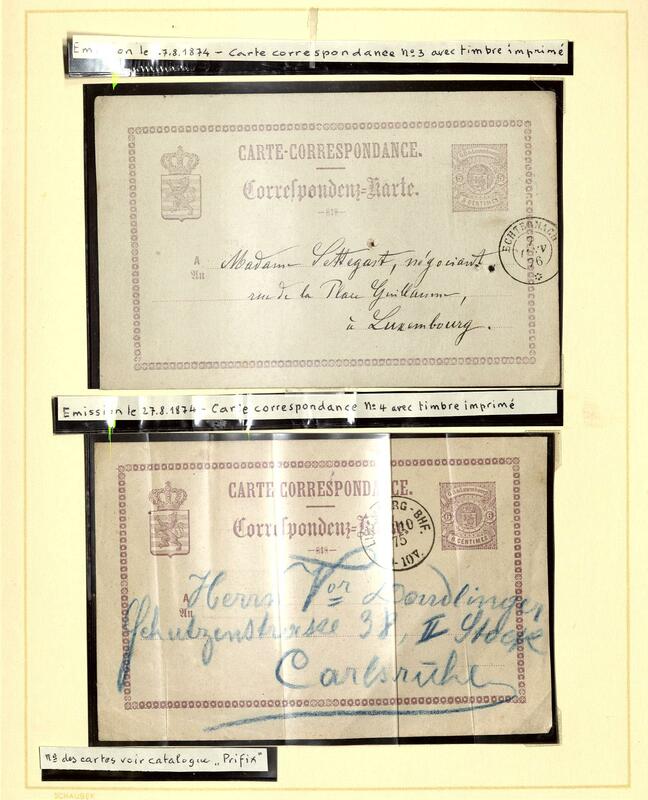 1 formed, with many older issues, special- and commemorative values, Caritas-editions, as well much material the post-war period. Very high catalog value! 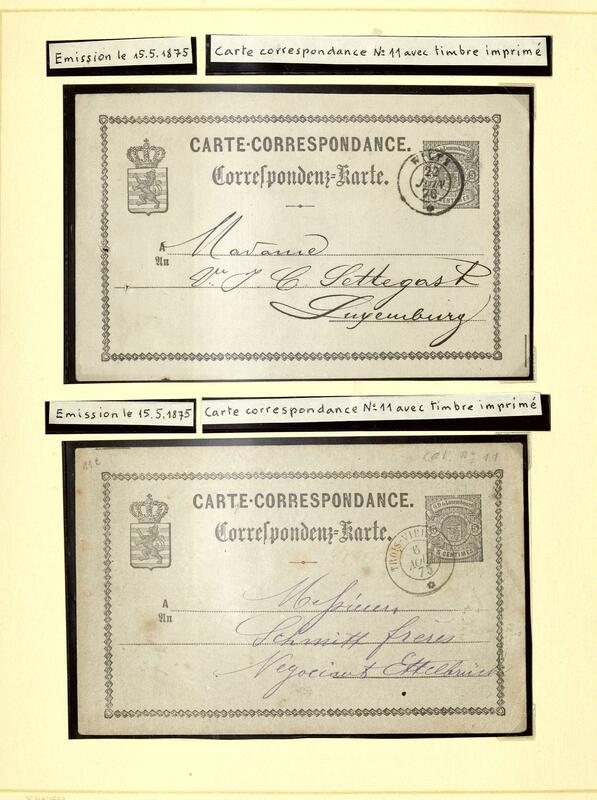 624 / Luxembourg - 1882 / 1994, rich collection in the thick lighthouse hingeless illustrated album with plenty of better issues, much older material, special- and commemorative sets, charity sets, an abundant part thirties and forties, the post-war period very extensively covered, as well numerous mint never hinged special- and commemorative sets, complete years and so on. Favorable! 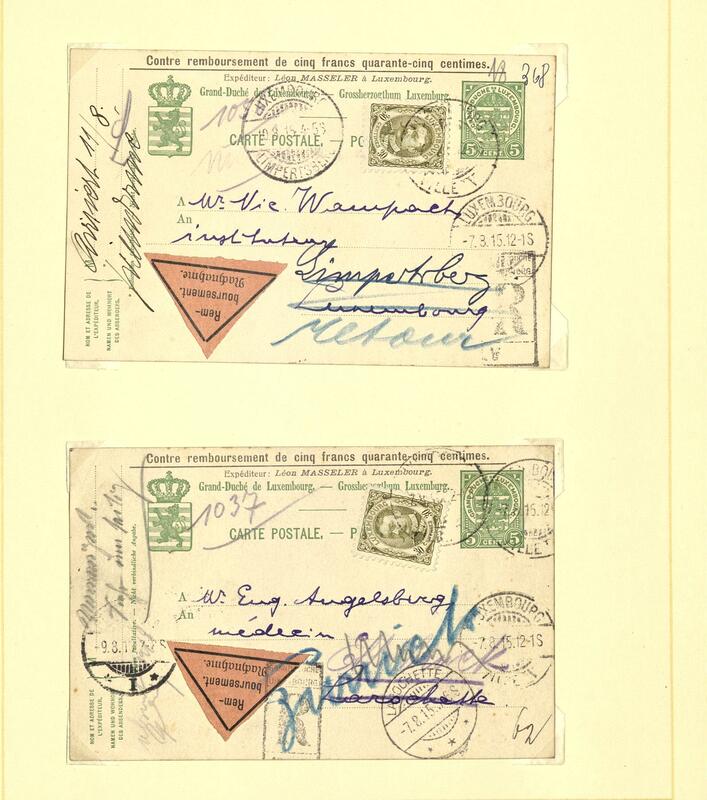 953 /⊙/ Luxembourg - 1950 / 2005, extensive in two SAFE hingeless albums over far parts complete, usually mint never hinged collected with good issues as for instance war orphan 1950 mint never hinged, charity sets, nice novelties part, postally valid issues, also stamp booklets and so on. Many is once again used available. High catalog value! 1068 Luxembourg - 1960 / 2003, mint never hinged collection complete in the KABE album with mounts with all sought-after novelties, souvenir sheets, charity, postally valid values and so on. High subscription price! 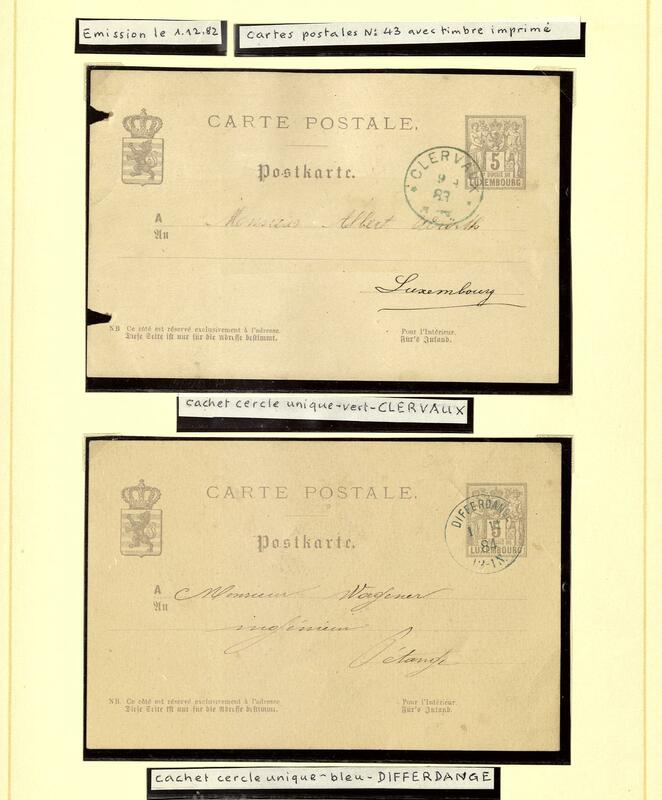 1176 ⊙/ Luxembourg - 1882 / 2004, collection in the Schaubek album with early issues, much used material, complete sets, as well the years 1965 / 2004 unused complete with all novelties, also postally valid issues and so on. 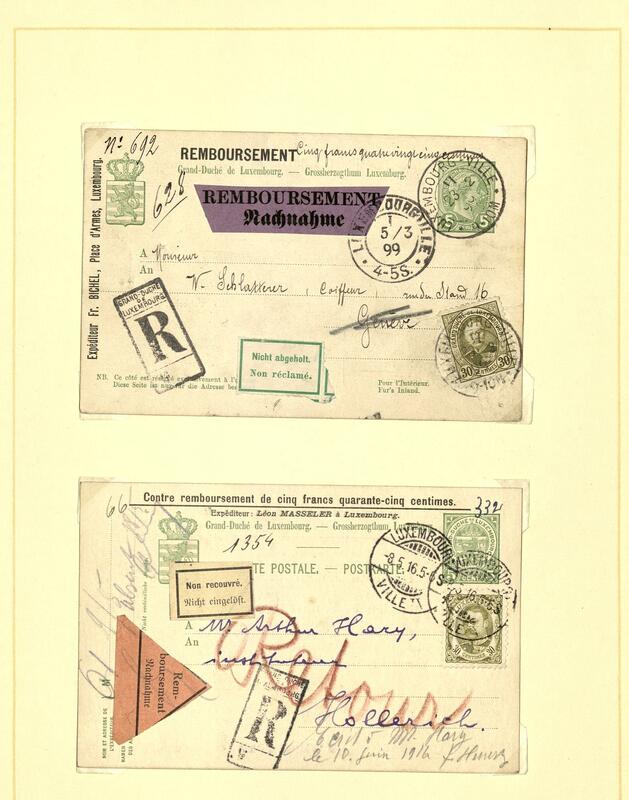 Subsequent still postage due stamps. Favorable! 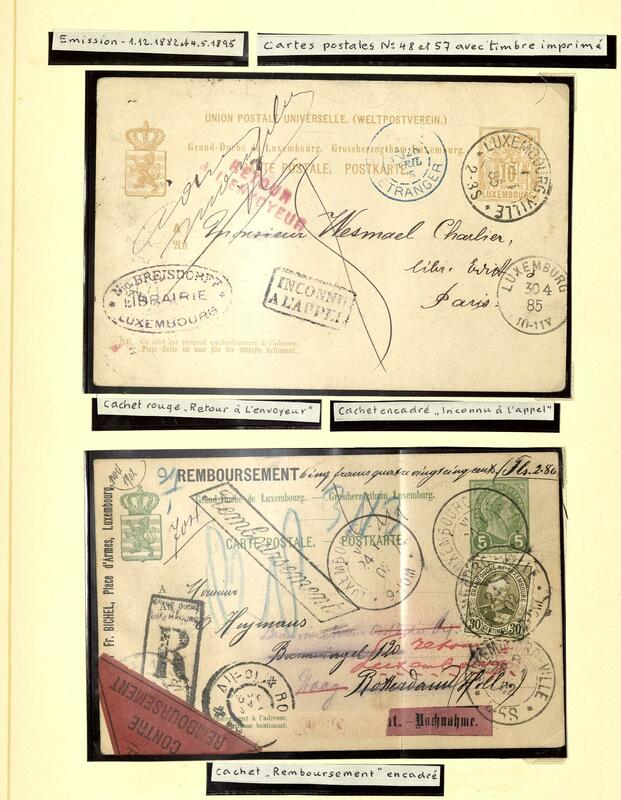 1434 ✉ Luxembourg - interesting inventory of more than 100 covers and cards with numerous attractive documents, beautiful frankings, postal stationery, much older material, charity sets from the forties and fifties, Europe 1956 on two beautiful airmail covers and so on. An attractive lot! 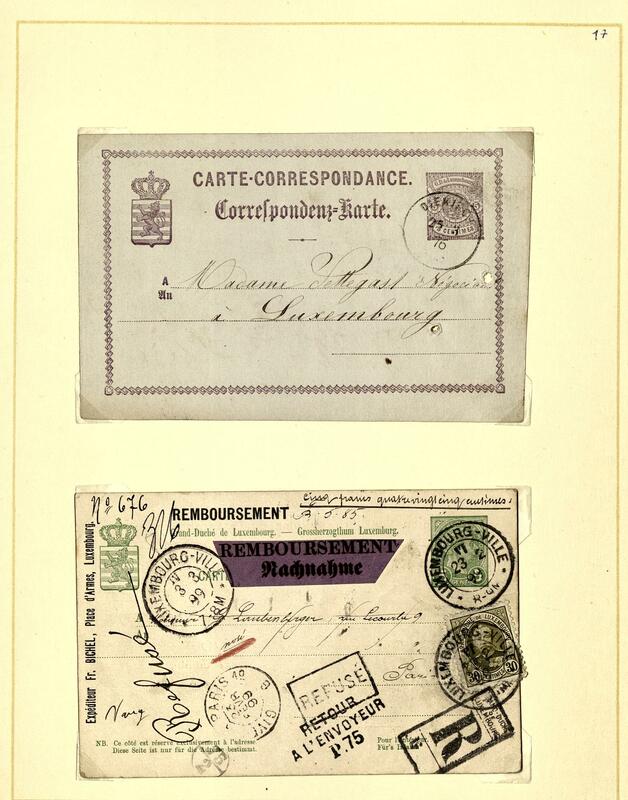 1821 Kart⊙n Luxembourg - interesting lot in the box, as well numerous issues in glassine-bags including much mint never hinged material, post valid issues and so on. 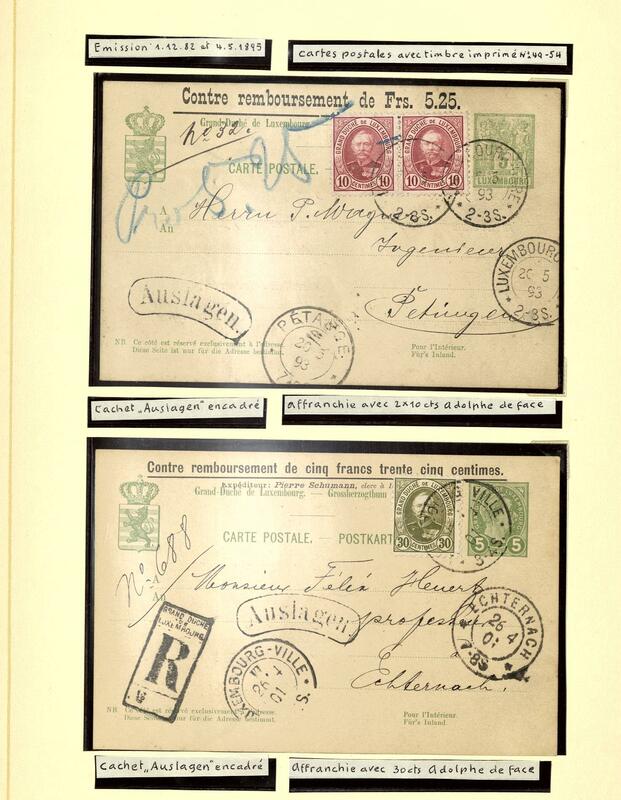 1982 /⊙/ Luxembourg - 1882 / 2000, rich collection in the album clean made up, with also numerous older issues, special- and commemorative values, complete sets and so on. The years 1963 / 2000 are nearly complete mint never hinged available. A beautiful object!